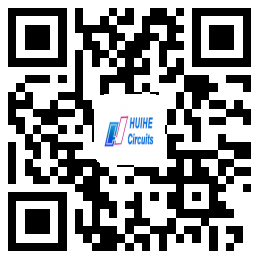 Xinfeng HUIHE Circuits Co., Ltd. Shenzhen HUIHE Circuits Co., Ltd. Founded in 2011, HUIHE Circuits specializes in R&D of high-density multilayer boards, PCB prototype and volume production. With its headquarters in Shenzhen, China, there are two wholly-owned companies in Shenzhen (Shenzhen HUIHE Circuits Co., Ltd.) and Jiangxi ( Xinfeng HUIHE Circuits Co., Ltd.). We always adhere to the principle of quality first. HUIHE Circuits Co., Ltd. has been certified for ISO 9001, and the products have been certified for UL, SGS and ROHS. With a professional technology development team, HUIHE Circuits has mastered advanced technology and possessed reliable production equipment, test equipment and fully functional P&C lab. Our products include 2-28 layers board, HDI board, high TG heavy copper board, rigid-flex board, high frequency board , mixed-dielectric laminate, buried &blind via board, mental core board and halogen free board , which are widely used in communications, computers, industrial control, power electronics , medical equipment, security electronics, consumer electronics and automotive electronics. Products are exported to North America, South America, Europe, Southeast Asia and other countries and regions. As a professional Printed Circuit Board (PCB) service provider, HUIHE Circuits Co., Ltd. is characterized by "High Quality, Accurate Delivery and Reasonable Price", and adhere to the core values of “ Stick with customer oriented, pursue excellent quality.” HUIHE Circuits is consistent in providing high-quality, quick response, satisfactory services for clients at home and abroad. Looking forward to the future, our stage is vast. We are sincere, persistent and aggressive at work. We meet difficult challenge and seize every opportunity to make progress. We hope to cooperate with you to realize our mutual development and long term benefit.